Another E3 and another extremely long titled game from the people at Idea Factory International. The latest I got a look at was Superdimension Neptune VS Sega Hard Girls for the PlayStation Vita. Check it out below. As you might have guessed from the name, Superdimension Neptune is like a love letter to SEGA, with references abound and all sorts of SEGA goodness to be found in the game. It all starts with one of the main characters, Segami, who teams up with Iffy to try and stop the World History from being completely eaten in this post-apocalyptic world. Right away, I could tell that this was a real upgrade from past games like Neptunia. For starters, there is more to do while exploring different dungeons. You can now do more like dashing around, rope climbing, and even jumping! I was even shown where you can harvest plants in the game, so it really does give you a bit more to do then just straight forward dungeon running. Medals and baseballs (what?) can also be collected through the dungeons to unlock new items. The battle system in Superdimension Neptune also is more robust. For starters, you now have the ability to hold down an attack and charge it to unleash a more powerful attack. Doing this also helps replenish your SP. There are also gems that appear during battle that help you regain health or stats, but in some cases you can’t reach them until you change your class. This is yet another really nice addition to the combat, where before fights you can switch your character’s class, giving you access to different abilities. I was shown the Hammer Warrior Class and the Kangaroo Class (to reach those gems). There is also a fever system in the game (they all have it), where as you attack, you build up a gauge and then once full, you are blessed with better attacks for a short amount of time. I was told that Segami can also transform into various different SEGA Hard Girls, though it was not ready to be shown. Considering I haven’t been the biggest fan of the past Neptunia style games, I really found myself liking what I saw with Superdimension Neptune. There are lots of great upgrades to the combat and gameplay with this release. 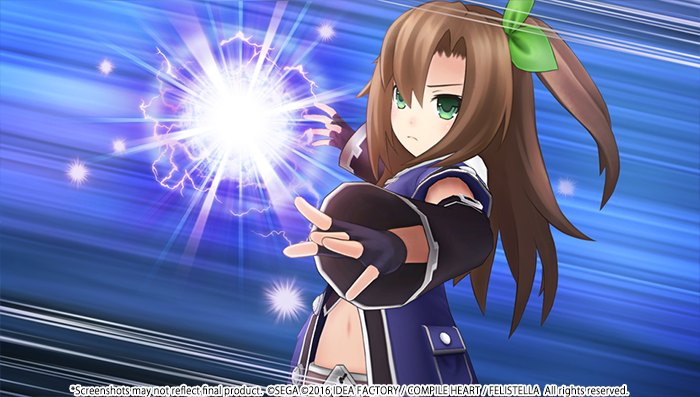 Superdimension Neptune VS Sega Hard Girls is set to release this fall on the PlayStation Vita.